We can supply & install not only white doors, but we also provide a range of colours. Our doors are resistant to sun, humidity with no flaking, fading, rusting or rotting. 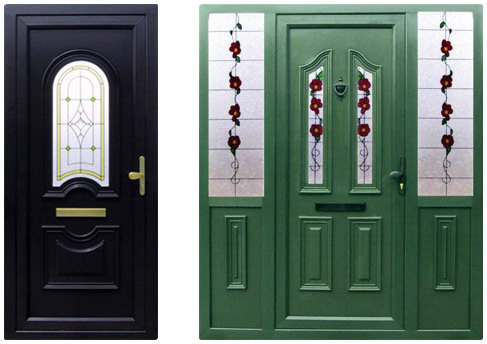 Your New PVC Door can be hinged on the left or right, to open inwards or outwards, hinges used are steel flag hinges which allow adjusting on four different points for ease of use and door adjustment all doors have three hinges as standard rather then only two hinges. 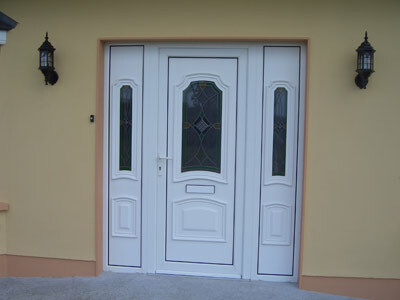 The benifits of using uPVC Doors when replacing your old Windows. uPVC is a low-maintenance material – no flaking, fading, rusting or rotting, glazed from the inside, so a burglar will have to get in before they can get the glass out.